Visiting South Elmsall and looking for a location to swim? Nice choice! Don't neglect to tell us how did it go. 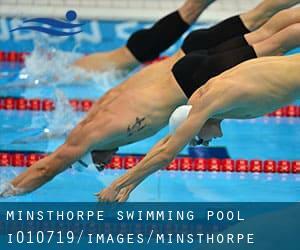 Introducing now Minsthorpe Swimming Pool swimming pool, an awesome swimming pool sent by a swimmer like you couple of days ago. Have you visit this pool? Do you work here? Please, contact us when you have info that you simply believe is gonna be useful and remember from now on it is possible to now promote every pool just by sharing this page with your friends or adding comments in the Facebook boxes below. Come on and assist this pool to be the first in South Elmsall! Among all the activities offered by the centre, if you are thinking about swimming you'll appreciate 33 meters x 12.5 meters, 6 lanes, 3 meters maximum depth, 3 meters maximum depth, Indoors. If you have to get in touch with this Swimming Pool, e-mail address and phone number are both number. If you believe that any with the information and facts is incorrect, please contact us. Aid us be better day-by-day. Updated on 2019 Pontefract Road , Featherstone , England , UNITED KINGDOM (Postal Code: WF7 5AJ). Among all the activities offered by the centre, when you are interested in swimming you are going to appreciate 25 meters x 8 meters, Indoors. If you have to contact this Swimming Pool, email address and phone number are both number. Updated on 2019 High Street , Normanton , England , UNITED KINGDOM (Postal Code: WF6 2AL). Among all the activities provided by the centre, if you're considering swimming you will enjoy 25 meters x 12.5 meters, Indoors. If you might want to contact this Swimming Pool, e-mail address and phone number are both number. Updated on 2019 Station Road , Queensbury , England , UNITED KINGDOM (Postal Code: BD13 1AB). This sports centre offers 18 meters x 7 meters, 4 lanes, Indoors. For this Pool, only phone number is number here. Updated on 2019 Hill Top , Knottingley , England , UNITED KINGDOM (Postal Code: WF11 8EE). Among all of the activities provided by the centre, when you are thinking about swimming you will enjoy 25 meters x 12.5 meters, 6 lanes, maximum depth 10 feet, Indoors. If you'll want to get in touch with this Swimming Pool, email address and phone number are both number. Market Place , Pudsey , England , UNITED KINGDOM (Postal Code: LS27 9JB). This sports centre offers 22.5 meters x 10 meters, 4 lanes, 1 meters - 3.5 meters depth, 1 meters - 3.5 meters depth, Indoors. Contact information for this Swimming Pool such as phone number and email address are number.